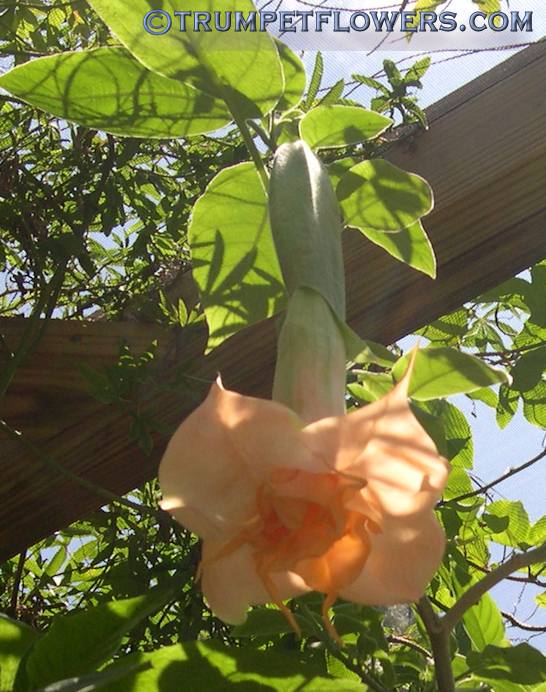 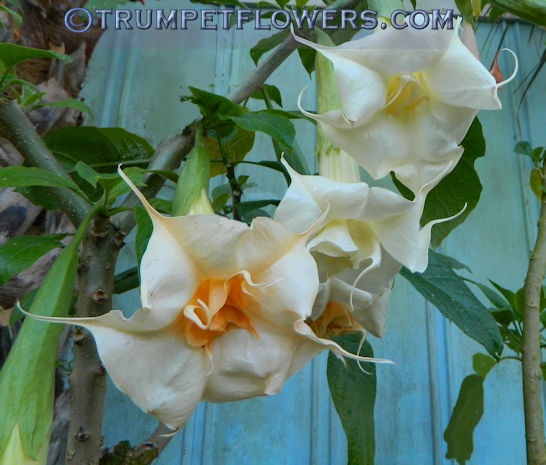 Brugmansia Kleine Lady on first day of open bloom. 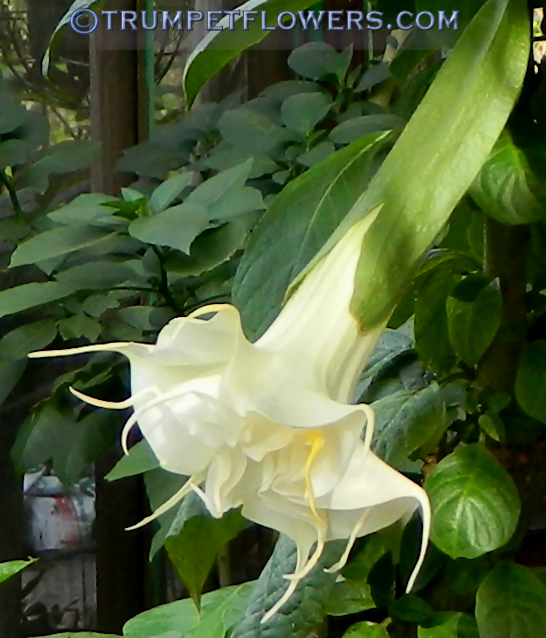 Teeth are downwards because I have been keeping the bloom covered in an organza bag to protect the pollen. 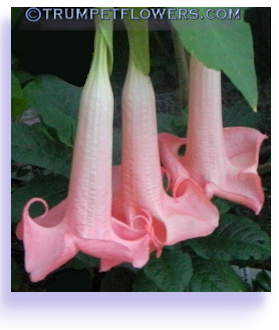 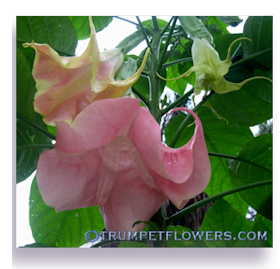 Brugmansia Kleine Lady is parented by Tiara X unk 'suarea' Hybridizer: Herta Blin. 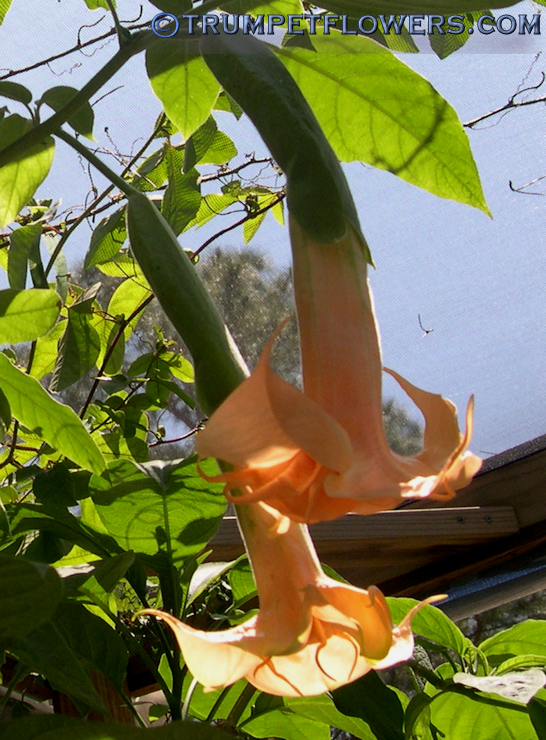 Cubensis bloodline. 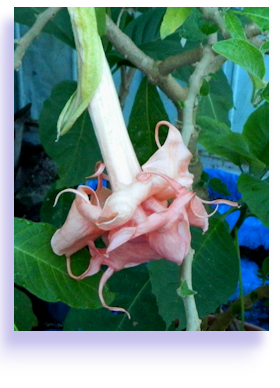 Published in 2000. 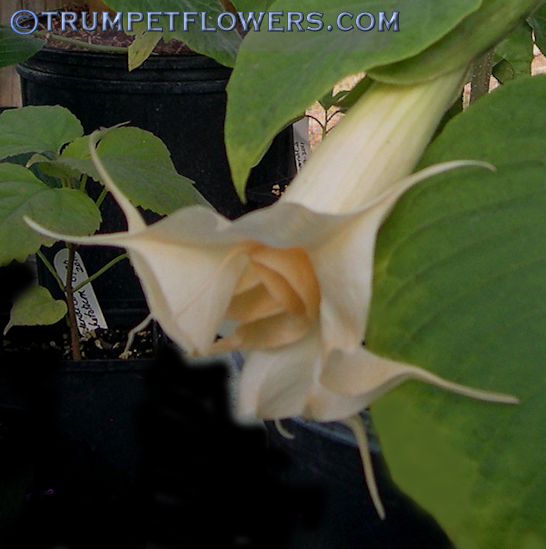 A small flush on the same morning. 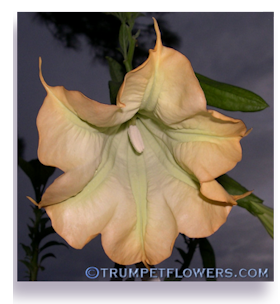 Kleine Lady is so elegant, with the long neck and the way the calyx stays tight and long to her, fitting like a lady&apos;s glove. 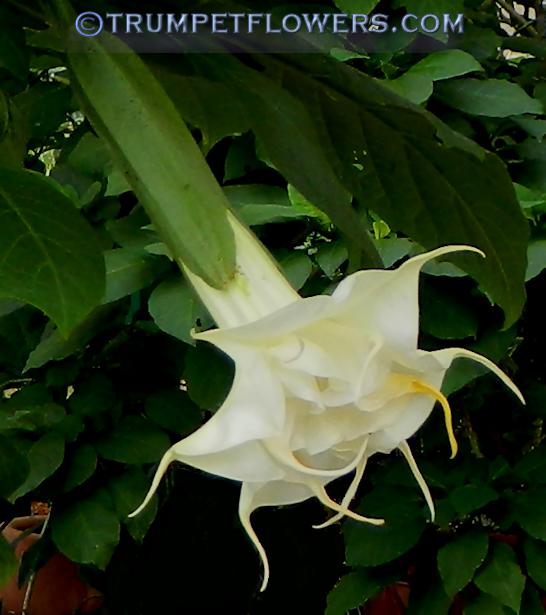 Beautiful form. 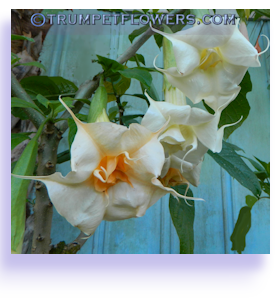 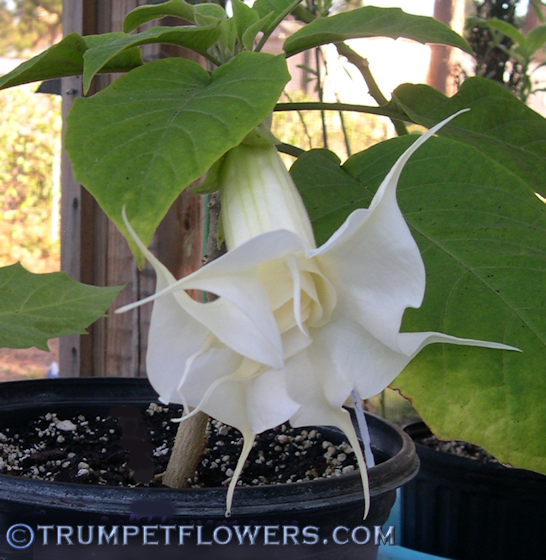 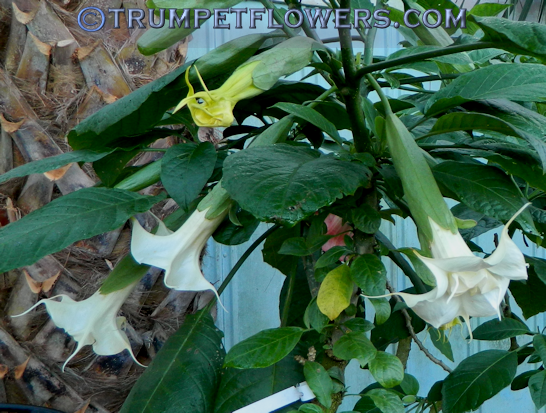 A great brugmansia to have in any collection, to be sure. 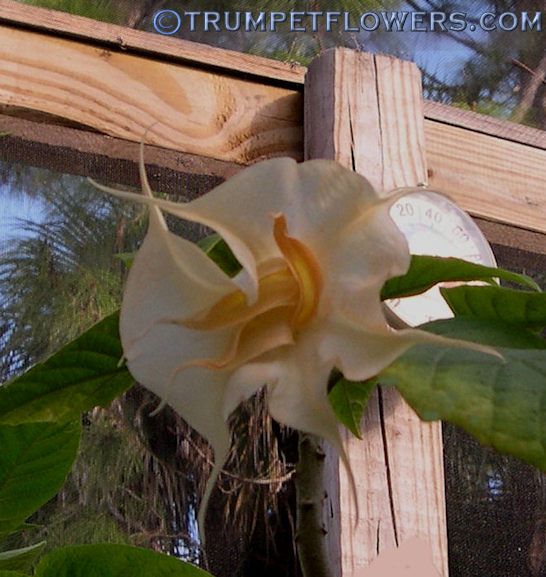 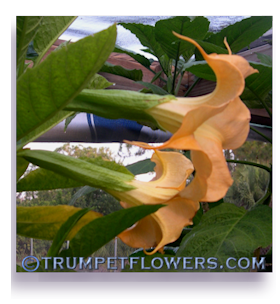 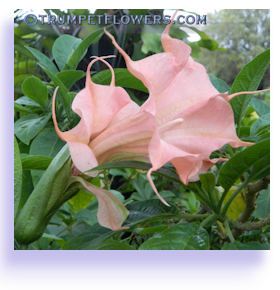 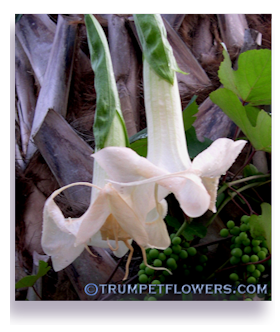 Kleine Lady Angel Trumpet starts out white, as seen above, and as the flower ages over a day or so, becomes a lovely color of peach, at least in my hardiness zone, 10A. 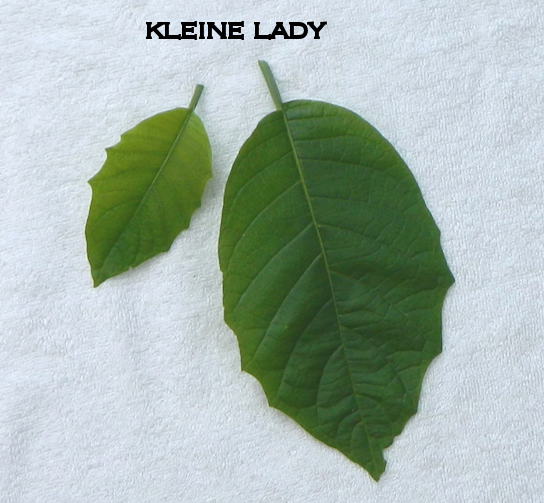 The leaf of Kleine Lady is moderately toothed, and has a slight leathery feel to the touch. 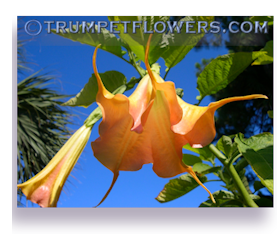 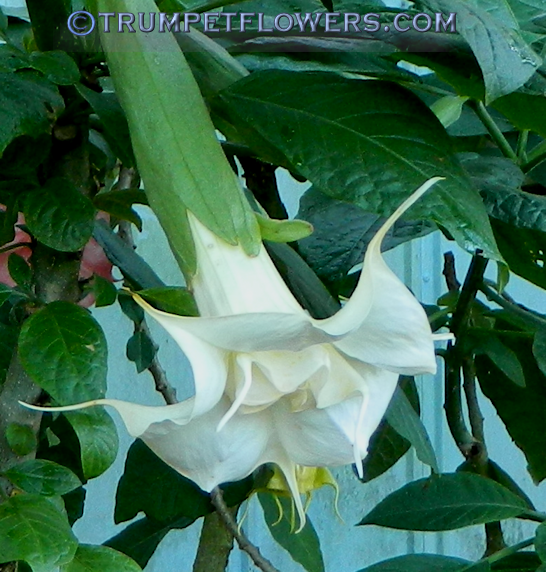 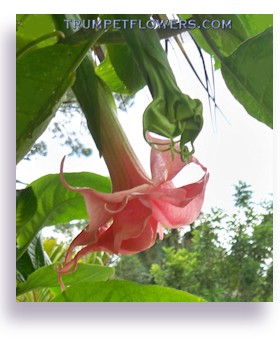 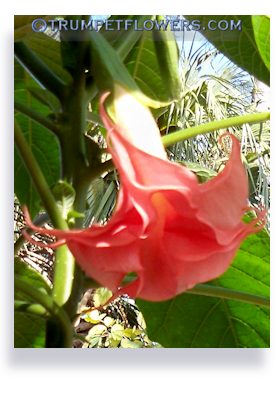 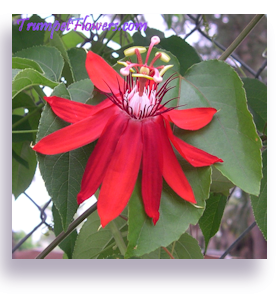 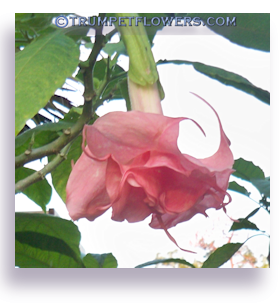 This entry was posted on February 2nd, 2012 and is filed under Brugmansia Gallery.